Playing bingo online is all very well, but one thing many players miss is the chance to have a flutter on their favourite fruit machine before they sit down to play. Of course, you can find plenty of online slots, but none of them have quite the same magic as the flashing lights and spinning reels of the real thing. 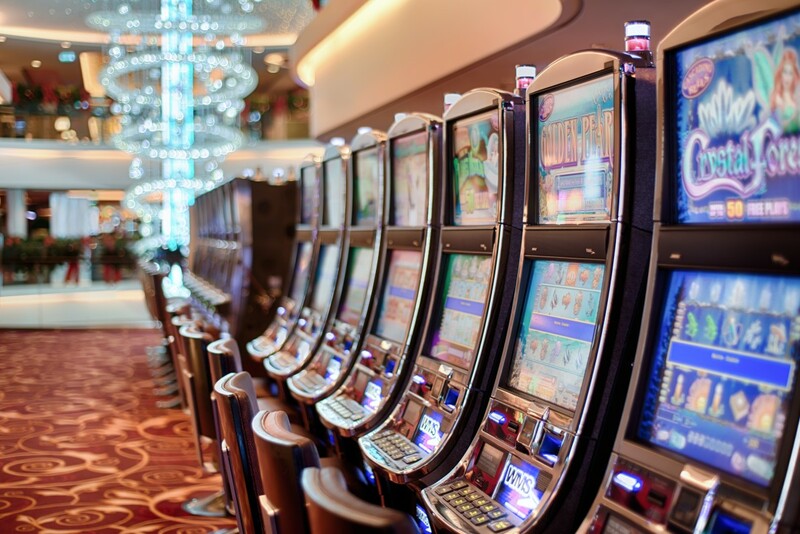 But where did slot machines come from, and how did they end up looking like they do today? 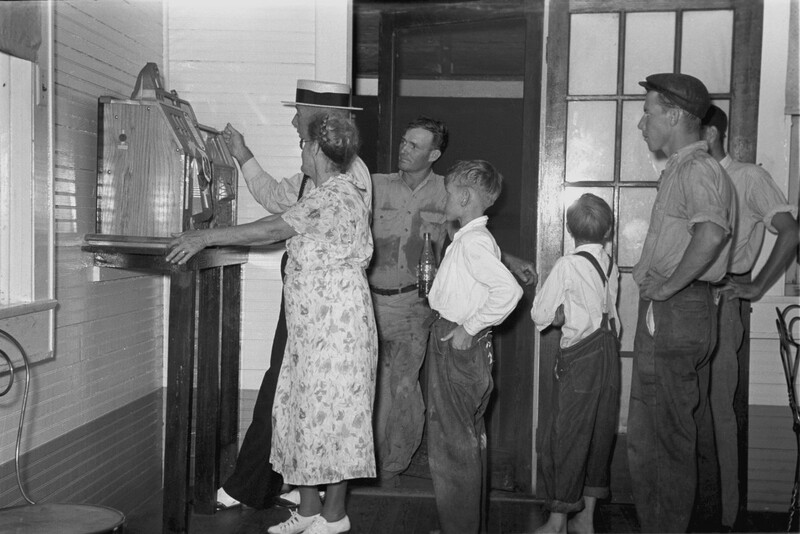 We know the history of bingo, but what is the story behind slots? The history of the slot machine can be traced back to 1891, when inventors Sittman and Pitt created the first automatic game based on poker. Their original prototype had five reels with playing cards on them. The idea was that players would already be familiar with poker hands and so it would be easy for them to move over to the machine version of the game. Unfortunately, while the game proved hugely popular, the maths made life really difficult. With so many different cards across five reels, the number of possible combinations was just too many for the technology of the time to be able to make automatic pay outs. As any slot player knows, it’s the instant gratification of the win that is so satisfying, and so having to go to the bar for a pay out just wasn’t the same. Charles Fey spotted this problem and simplified the game to three reels with five symbols, producing his first machine in 1895. His innovation meant that the machines could pay out automatically and so could be played at any time of day or night without the need for supervision. His idea was spread across the United States by entrepreneur, Herbert Mills, who took them to bars, garages and local stores right across the country. The story behind the strange symbols we have come to take for granted is just as fascinating. Some have straightforward explanations, such as the bell and bar, while others are much more intriguing. The bell was a simple appeal to American patriotism, using the Liberty Bell, while the bar was the branding of the Bell-Fruit Corporation, who were a major manufacturer of slot machines from the 1950s onwards. But why do we have the cherries and melons that give ‘fruit’ machines their name? The answer lies in America’s strict gaming laws. With many states prohibiting gambling for money, Herbert Mills came up with the idea of offering sticks of gum as prizes instead. These were flavoured cherry and melon and the symbols on the machines were changed to advertise this. These days, it is rare to find a traditional ‘one armed bandit’ anywhere outside of a seaside arcade. The pull handle fell out of fashion when the new electric machines started appearing in the 1960s, led by the Money Honey, the first fully electronic slot machine. Since then, the push button has become standard, and with it have come a whole range of games within games designed to test your skills as well as your luck. Video slots first appeared in 1976, but really came into their own with the arrival of the internet. Today there are literally thousands of online slots to choose from, covering every interest, from bands like Motorhead and Guns n Roses, to movie themes like Tomb Raider and Psycho, to fantasy fiction like Beowolf and Xcaliber. Whatever your passion, there is a slot machine to match. And if your passion is for cold hard cash, online slots are definitely the place to head, with multi-million dollar rolling jackpots to be won every day. You may think that these are just for show, but in fact, they pay out on a surprisingly regular basis, and you don’t have to wait long for the jackpot to build back up after a big win. Some slots, like Millionaire’s Island, have even been known to pay out jackpots worth over a million dollars twice in the same month. It’s all a long way from Herbert Mill’s sticks of gum, or the poker cards of Sittman and Pitt. However, it does mean you can still enjoy a few rolls of the reels to go with your online bingo, making the experience feel much more like a night out at your local bingo hall. Who knows; it might even make you a millionaire!